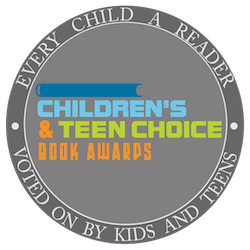 New York, NY – May 30, 2018 – Every Child a Reader, a nonprofit charity dedicated to inspiring a love of reading in children and teens, is proud to announce the winners of the 11th Annual Children’s & Teen Choice Book Awards. The award finalists were chosen as follows: As supervised by the International Literacy Association, children in five regional school systems read and discussed books in the picture book and middle-grade categories; books for teens were nominated online at TeenReads.com. The 5 finalists in each of the four categories were then voted on nationwide via a COPA-compliant online voting site, as well as by voting ballots submitted by groups organized by teachers and librarians. Voting ended on May 6, 2018, the last day of Children’s Book Week, celebrating its 99th year with over 2,500 library, school, and bookstore events nationwide this year. The announcement of the winners took place late this afternoon at BookExpo, the national trade show held at the Javits Center, in a ceremony hosted by children’s book creators Selina Alko and Sean Qualls. A Silent Art Auction of 150 original works of art followed the ceremony, with Ashley Bryan as this year’s honoree. Read more about the winners and finalists here. Every Child a Reader is a 501(c)(3) literacy charity dedicated to inspiring a lifelong love of reading in children and teens across America. 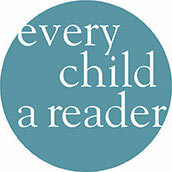 Every Child a Reader’s major national programs include: Children’s Book Week, celebrating 100 years in 2019; the Children’s & Teen Choice Book Awards; Get Caught Reading ; and the National Ambassador for Young People’s Literature program, in partnership with the Library of Congress. The 2018-2019 National Ambassador is Jacqueline Woodson.